Looking like a hot and futuristic design, with all vents and most ports hidden round back, the matte/gloss aesthetic is divided by a glowing power line that glows blue at boot up before giving way to a more living room-friendly white. All The connections at the back-panel of console are digital,that means it features an aux port for the optional PlayStation Camera, Ethernet for wired internet, an HDMI port and Optical Audio out for boast of sound from your awesome speakers in room. Up on the front there are two USB 3.0 ports to charge the wireless controllers, beneath the on/off and eject buttons that sit either side of the disc port (6 x Blu-ray, 8 x DVD). It also features Wi-Fi and Bluetooth, the latter is meant for syncing the controllers. The huge power-packed eight-core Jaguar x86-64 processor and 1.84 TFLOPS AMD Radeon GPU, makes the console's performances noticeably when compared to the current-gen machines. After going through the PS4 interface, you will notice how smooth the whole experience and interface is, the most soothing effect of owning a new piece of gaming hardware after a six-year wait is really awesome and great. moving along the menus,interface, surfacing through the apps it was a smooth experience, but its design can sometimes feel almost too geeky. Similarly the social functions lack organizing tools and the browser, as is becoming the norm with PlayStation, is not up to much. So what does playing a PlayStation 4 feel like? Quite honestly, it's a lot like a great gaming console. There's a noticeable inhancement in graphics, of course, but it's logical to assume the real heavy hitters won't have their day until we're deeper into the system's life cycle. Also, PC gamers with the luxury of a great machine probably won't be much impressed at all from this device. It's also worth mentioning that some cross-platform games like Assassin's Creed IV: Black Flag don't look nearly as good as PS4-exclusive games like Killzone: Shadow Fall look alike on killer gaming ring pcs. 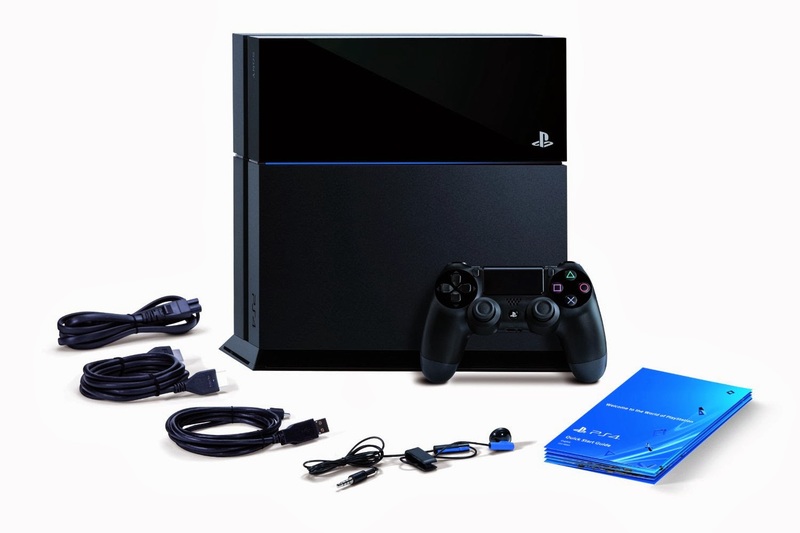 PlayStation Network provides a huge portion of the PlayStation 4's functionality and different networking options. You'll need to be logged in to an account to activate almost all of the PS4's extra features and services. Other than a handful of Full-HD titles and a speedy interface, there's little this can functionally do right now that demands an upgrade. Because of this, the idea of dishing out full marks to any games console at launch is slightly ridiculous, when you consider the always-light initial game selection, untestable factors like long-term online services (multiplayer needs more thorough usage to pass judgment) and the simple fact that it takes time for game makers to get the best out of new platforms. But we think the PS4 is set up well to evolve – its developer-friendly spec, social integration steps, commitment to Cross Play and mobile extensions to the ecosystem across PS Vita, tablets and smartphones, not to mention future Gaikai-powered cloud gaming plans, giving it space to expand and be flexible as gamer requirements shift in years to come. With the PS3 and Xbox 360 producing some of the finest games in the market and acting as fully operational media hubs on both the consoles , a new console is undoubtedly a want rather than a need right now. But through its super-fast UI and great experience, noticeable graphical jump and PS4 looks like one worth buying into in the long run though a better version of PS4 may be coming next year . Sony's core focus on gaming has left the PS4 on the bay when it comes to entertainment end,though it covers off the streaming and on-demand basics. Game loading time on the console are much faster than ever before, gone are the days of waiting for a 15-minute install to one of those great titles . Whether it was “Knack,” “Assassins Creed IV: Black Flag” or “Injustice: Gods Among Us Ultimate Edition,” it took quick load times of no more than 45 seconds. In dualshock 4 controller the led light on controller can display one of three different LED colors to indicate information; for example, if a player is low on health and may die in the game, the light bar may relay this information with the appropriate color. The Dual shock controller's PS button acts as a handy default pause and home key to suspend whatever you're doing in one touch. though It look likes a basic ability but its great to alter settings on the fly, without having to log out and boot up again, is something smartphones and tablets have been doing for years, but consoles are finally there. The light bar will also light up corresponding to the player's controller: blue, red, pink and green corresponding to player one through four, respectively. Additional features the light bar offers include the ability to track players, even going so far as to reorganize the split screens in a multiplayer game when the physical order of the players has changed. One new addition ps4 controller is the new analog sticks that sport ridges to keep your thumbs comfortable,which is a bit change from the DualShock 3's rounded off sticks. Sony has also improved the L2 and R2 buttons, making the buttons more comfortable and reducing accidental button presses. according to sony DualShock 4 has also replaced the DualShock 3's analog buttons with digital buttons, claiming that "developers were ignoring" the feature. The word is that the DualShock 4 has decreased latency and increased the grip and features over the DualShock 3. In Terms of gameplay, the PS4 experience is greatly improved from PS3 thanks to the fantastic DualShock 4 controller to accompany with it. During a gameplay session you can suspend the action and go back to Menu. Double-tapping the Home button will take you back to the game. However, if you put the system in standby mode or turn it off, you'll lose your gameplay session. Game saved is synced in the PS network cloud (and backed up locally as well) and can be accessed on any PS4 you log in to as long as there's an Internet connection,but their one catch that you'll need to be a PlayStation Plus member to make use of this feature. Of course we can't overlook backward compatibility of gaming titles because there is no disc-based backward compatibility at all on the PS4 -- none of your PS3 games will work on this machine. However, Sony has teased streaming capabilities that the company plans on implement with Gaikai . For now, those PS3 owners who purchase a PS4 are out of luck with their current game collection, but don't lose your hopes because some games (Like Assassin's Creed IV: Black Flag etc ) will let gamer's upgrade to the PS4 version of the game for a small fee. for Assassin Creed IV's it's $10 for ps4 up-gradation. In the PS4 it will merge both PS3 and PS4 trophies together for better gaming. The PS4 introduces a dynamic trophy system where developers can create new trophies based on the performance of other players and other unlocking stages. Disc player : along with the games discs, the PS4's disc drive is capable of playing back Blu-ray and DVD discs any kind , but it can't play audio CDs , that's not a problem because now days no one is playing them and that too on PS4 . In this sense, the PS4 is a bit back from the "plays everything" nature of the PS3, although it will change with a future firmware update to support cd's. No TV Broadcast: if you're stacking up the PS4 for watching tv,then you will be disappointed. There's no onscreen program or ability to watch TV and play games at the same time via inframe window. PlayStation Plus subscriptions will cost you $50 for a year which you can carry over from earlier version of PS3 to PS4 and are required for online multiplayer gaming. PS Plus existing members will also get automated game updates (isnt it a great move that your new the PS4 can update itself while in standby mode) so you will not have to wait before starting a game just to find out that weather it needs updating or not . For system firmware updates, both PS Plus and non-PS Plus members will receive automatic updates as soon as they become available . PlayStation Plus members have access to 1GB of cloud storage to save their games, free and discounted games across all Sony platforms, automatic game updates, access to game demos, online multiplayer and some beta invites. but mind it guys for every "free" titles comes with a catch. Everything you downloaded for free is accessible only when you have a PS plus account. If your membership expires or you cancel your subscription,then you'll lose the free stuff. The PlayStation Store is doing away with downloaded content. Starting the new legacy with the PS4, everything you want will be streaming directly from the Sony Entertainment Network service or content portal of your choice in ps+ subscriptions. that means now you will have to download games directly to the PS4's hard disk. All "large file" games will support play-as-you-download capabilities, and some titles -- if the developer wants to do so,then he can support downloading of a certain part of a game and not the other. For example, downloading Call of Duty: Ghosts on the PS4 gives you the option to only install the campaign or multiplayer component separately for each missions. Since a PS4 in standby mode can now be remotely turned on, a purchase made through the Sony Entertainment Network site can be downloaded to a PS4 without having to be in front of the physical console. which means that you can make a purchase at your work place and have it ready to play by the time you reach home in front of large oled screen. The PS4 has a great game recording DVR feature that's allow you to constantly record your gameplay so that you won't miss any sequence you'd like to share with your friends to ease them of your mighty powers in game. With the touch of a button, you can stream to Twitch\Ustream and send a link to social networks. You can also view a live feed of a friend's game-play directly from the PS4 screen of tv, and you can add comments simultaneously in instant chat mode. Built into the Dynamic Menu of ps4 is a section called "Live from PlayStation" that gives you access to watch various video streams from ps network. From here you can watch Twitch and Ustream live broadcasts. After the launch of both anticipated gaming console, many gamer's learned that Xbox One and PlayStation 4 were having similar specs. This has turned into a next-gen gaming console war into a battle of games and services. Targeted at gamer's, Sony is making a big deal of its social features, especially the introduction of Party Chat, video capture and live streaming games. The PS4 does offer entertainment apps, but its clear that the main focus is being a gaming console first, entertainment hub is given 2nd priority. Microsoft has taken the next gen approach, attempting to make its gaming console the center of your living room experience which is far better experience than its rival xbox one. The Xbox One can plug into a cable box, allowing users to access their favorite shows via the console. You can also switch between games, TV and other apps via voice commands. Partnerships with NFL allow users to Skype with their friends on game day, keep up on their favorite teams stats and manage their fantasy team -- all without ever leaving the Xbox One ecosystem. The Kinect’s camera can also follow you around the room as you Skype with friends. The fact is true that xbox can play great games seamlessly but ps4 offers another great entertainment features in addition of great gaming experience over the networks. The Sony PlayStation 4 is a solid,great, fast, intelligent and powerful gaming console at a price not to cheap but to give a perk with it ,it offers a best controller that makes it best PlayStation so far. It has many games to play ranging from all sizes,categories and price points to play on it, although not many exclusive must-haves as we'd have liked on it,only the glitch with it is that it's not backward compatible with PS3 game titles.